Welcome to that Catholic University Travel Page! Here you will find information to help you plan your travel and then request reimbursements for your expense. The full travel policy can be found here. For details on how to request a Travel Reimbursement click here. Authorization: Domestic and international travel with a University business purpose must be authorized in advance by the Vice President, Dean, Department Chairperson, Director, Principal Investigator or the appropriate designee responsible for the travel budget to be used. International Travel with a University business requires that travelers register their travel via the University Travel Registry and obtain the University’s International Health and Emergency Evacuation Insurance Coverage. International Travel may require advanced planning and approvals. Accordingly, travelers should review the International Travel Policy and contact the Center for Global Education (202) 319-4698 or cua-cge@cua.edu) well in advance of the planned travel. While Traveling: The University requires the integrity of the traveler in following its policies in planning and conducting official University business. Ordinary, necessary, and reasonable expenses incurred in connection with any required travel assignment are permissible if appropriate approvals are obtained first. 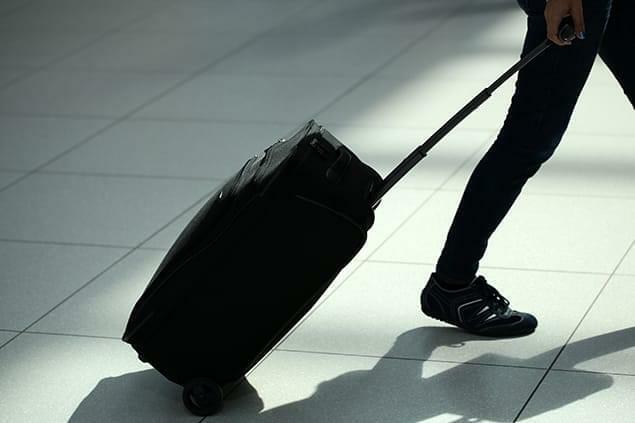 The University will not pay for or reimburse the traveler for any direct costs incurred for personal travel that become sequential or incidental to business travel. The University will not reimburse the traveler for any estimated or actual amounts incurred if an alternative method of travel is taken to a destination for a business purpose in which the method of travel was chosen to complement personal travel and is not considered economically reasonable and in line with this policy. Procurement Card - All travelers are strongly encouraged to use a University Procurement Card for travel-related expenses. The full Procurement Card policy can be found here. Personal Funds - Travelers may use personal funds while on travel and seek reimbursement from the University for reasonable business expenses in line with this travel policy. Requests for reimbursements must be submitted timely with the appropriate documentation as outlined below. Travel Advance - If the traveler would like to request a travel advance, the request must be made at least thirty (30) business days before the first day of travel. No matter what payment you choose, when travel is completed, all Travel Expense Reports for purchases made with and without a University Credit Card are required to be substantiated, signed and approved by a supervisor. These reports must be submitted to Accounts Payable, along with any travel approval forms, as soon as possible but no later than twenty (20) business days after the last day of travel. Changes, Cancellations and Credits: Change fees must have a legitimate, documented business reason. Fares/Ticket Types/Class of Service - Travelers must purchase the lowest available economy/coach class airfare that meets the business needs of the travel. If an air itinerary has any flight segment that exceeds eight (8) hours, the entire trip (defined as no more than all segments booked together for a single day's travel) may be upgraded to the next cabin class of services (i.e. Business Class or, if no such class of service on the aircraft, First Class) with documented approval of the cognizant vice president. For more details, please see the travel policy. Fees - Transaction fees associated with business travel reservations and baggage fees for baggage that is not personal in nature (e.g. golf clubs for a business trip) or unreasonable and inappropriate for the purpose and length of the trip are permissible. Private Carriers - The use of non-commercial (private/corporate/state-owned/rented/borrowed) aircraft for University business travel is prohibited. Exceptions require written approval in advance of committing to the travel by the University’s risk manager. Rental Cars - Rental cars should be used when they are less expensive than alternative means of transportation (e.g., taxi, Uber, car service, or train) or where there are safety or other issues that justify the additional cost. Vehicles must be economy or compact models. For trips that require direct travel for eight (8) hours or longer or will include more than four (4) University employees on authorized travel, travelers may reserve the lowest available vehicle at the next higher class of models (i.e. intermediate or standard). The costs of other upgrades or accessories, such as a satellite radio and GPS, are not permissible. Tolls and Parking – All business-related tolls and parking charges that are not part of an employee’s regular commute are permissible expenses. Tickets or fines associated with parking or travel violations, and charges for vehicle lockouts are not permissible expenses. Insurance – University insurance will cover vehicles rented domestically for collision and liability only if the operator is an official University Authorized Driver in good standing. Insurance offered by the rental agency must be obtained if the operator is not an Authorized Driver. When renting a car in a foreign country, local, in-country collision and liability insurance must be purchased from the rental agency. Personal Automobile – Use of a personal automobile for business purposes is permitted when it is less expensive than alternative means of transportation or when there are safety or other issues that justify the additional cost. Commercial Bus or Rail - Travel by bus or rail is allowed when it is less expensive than alternative means of transportation or when there are safety or other issues that justify the additional cost. Taxi, Uber, Car Sharing, and Other Car Services - taxis and car services such as Uber can be used for local transportation and in-city destinations whenever possible, unless a rental car or other means of transport is more cost effective or where there are safety or other issues that justify the additional cost. Local transportation includes travel to and from airports and railroad stations, between appointments, and between hotels and meeting locations during the working day or specifically related to a work function. Limousine & Shuttle Service – Limousine and shuttle services may be used when they are less expensive than alternative means of transportation (e.g., train, taxi, Uber, or personal auto) or when there are safety or other issues that justify the additional cost. When traveling with others, it is may be economical to coordinate travel times and share a limousine or shuttle service. For information regarding incidental expenses related to lodging, please see the travel policy. Travel expenses for non-University employees such as consultants, speakers, lecturers, official visitors, job applicants etc. are generally permissible in accordance with contracts for services or vendor payment procedures which must be in accordance with University policy. Foreign Nationals - Travel expenses for visiting foreign nationals must be approved in advance in writing by the Vice President, Dean, Department Chairperson, Director, Principal Investigator or the appropriate designee responsible for the travel budget to be used; and b) the Division of Finance so that the proper tax treatment can be determined. Copies of the written approval must be submitted along with travel reimbursement request. Payment to visiting foreign nationals may be made only if the visitor holds an appropriate visa. In addition to the documentation required for all travel reimbursement, resident aliens must also submit the currently required visa documentation. Please refer to Non-Resident Alien Payments Policy for more information. Spousal Travel - Please see the Travel Policy for guidelines.